The year 2018 showcases Fabienne Colas’s successes as an artist, entrepreneur, president and founder of the Fabienne Colas Foundation and seven festivals in Canada, the United States and Haiti. After years of hard work to promote and support better diversity representation in the arts industry, she has received numerous Canadian awards. It is a privilege to be recognized by our peers and the industry. As a young Haitian, Canadian, and Montrealer, I take everything with great humility, gratitude and pride. 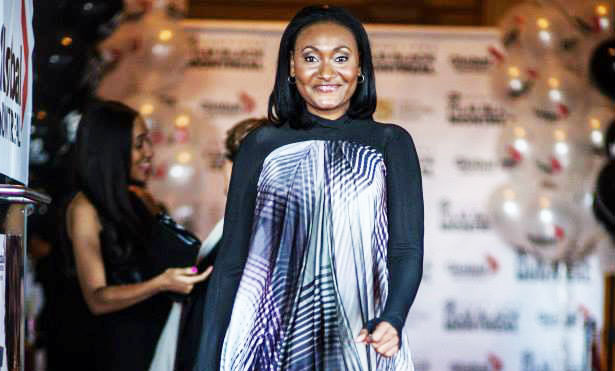 These awards and nominations tell me that I am on the right track and encourage us at the Fabienne Colas Foundation to continue building more bridges in the arts for a more inclusive society, – said Fabienne Colas. Fabienne Colas will receive the Dr. Martin Luther King Jr. Achievement Award from the Black Theatre Workshop during its annual Vision Celebration Gala on February 2, 2019 – an official launching pad for Black History Month celebrations. Colas adds her name to Oscar Peterson, Oliver Jones, Dany Laferrière, Gregory Charles, Doudou Boicel, Charlie Biddle, and Tony Lee Williams, celebrities who have previously received this award. The award pays tribute to outstanding black artists who help develop Canadian arts and celebrates the vision of growth, solidarity and unity inspired by the great historical and contemporary figure Dr. Martin Luther King Jr. Click here for more information. Selected among 2018 Canada’s Top 40 Under 40, award-winning actress, filmmaker, speaker and business owner Fabienne Colas works tirelessly and passionately to support and promote diversity off and on international screens. She is the “Queen of Festivals,” creating and managing seven successful festivals in Montreal, Toronto, New York City, Halifax and Port-au-Prince, including the Montreal International Black Film Festival, Canada’s largest black film festival and the popular Toronto Black Film Festival. These events have welcomed top names such as Harry Belafonte, Spike Lee, Stedman Graham, Danny Glover, Martin Luther King III, Dany Laferrière, Wyclef Jean, P.K. Subban, Souleymane Cissé, and Alfre Woodard. As president of the Fabienne Colas Foundation, she supports and promotes independent films and artists who would otherwise be unknown. Nominated and chosen by the S. State Department as the 2017-woman leader to represent Canada in the three-week International Visitor Leadership Program (IVLP), where 47 countries were represented.